API which allows access to info regarding currently-playing track (beta). Is there a better alternative to MusicServer? 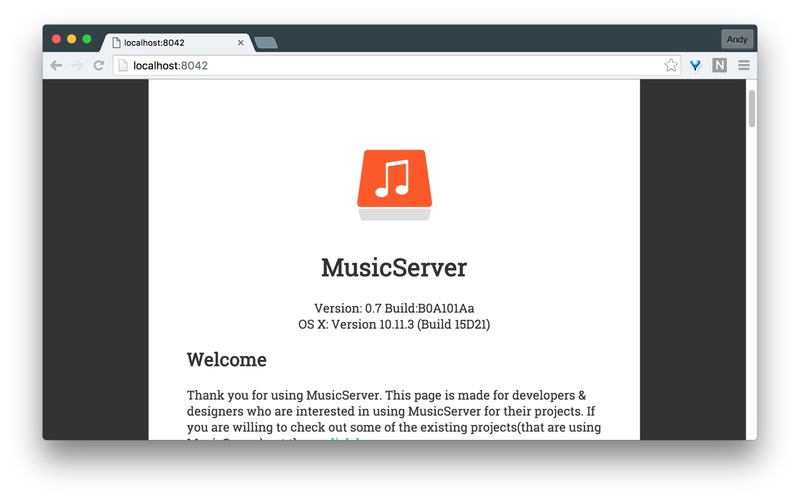 Is MusicServer really the best app in Author Tools category? Will MusicServer work good on macOS 10.13.4? Let MusicServer unlock your music! 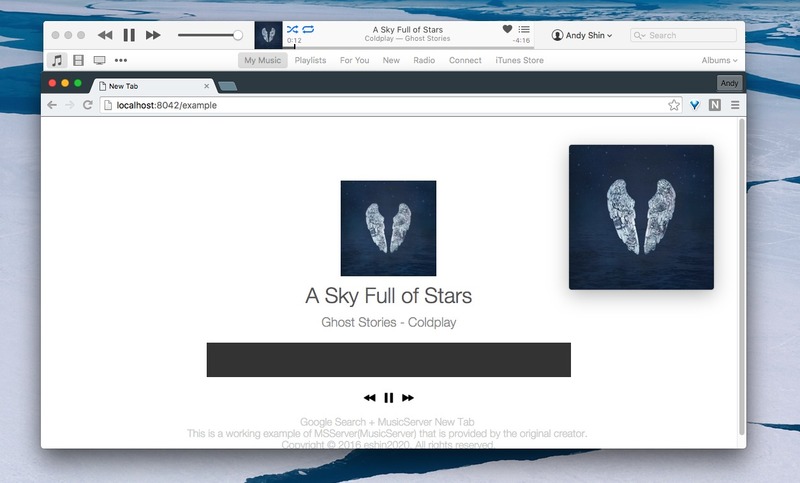 A Whole New Web Browsing Experience Give your favorite web browser the ability to control iTunes and Spotify. 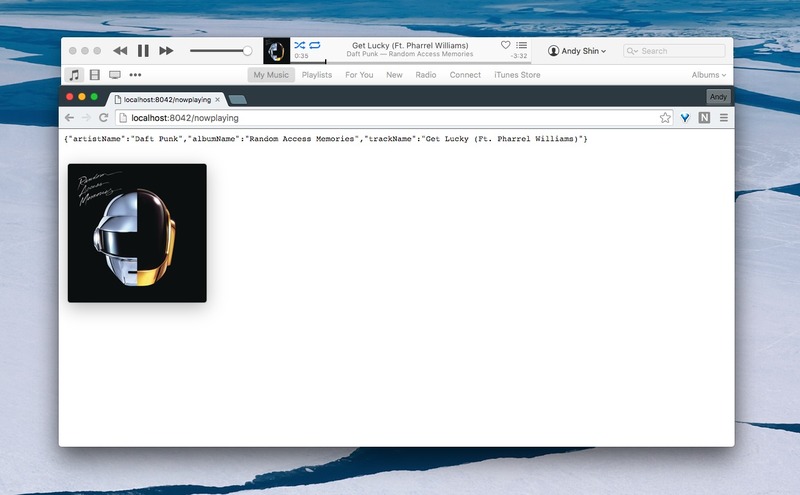 No need to open iTunes or Spotify to control your tracks. Third-party websites supported with the API. MusicServer needs a review. Be the first to review this app and get the discussion started! MusicServer needs a rating. Be the first to rate this app and get the discussion started! Spotify Support MusicServer supports iTunes and Spotify. It will detect what music player you are currently using and provide the corresponding information for the currently-playing track. You can also select your preferred music player. No need to hesitate between iTunes and Spotify. Infinite Possibilities There are no such limitations from using MusicServer's API. You could create a widget for your Web site, a very personal New Tab page, or even set up an HTTP-based remote control. Everything is just a URL away.